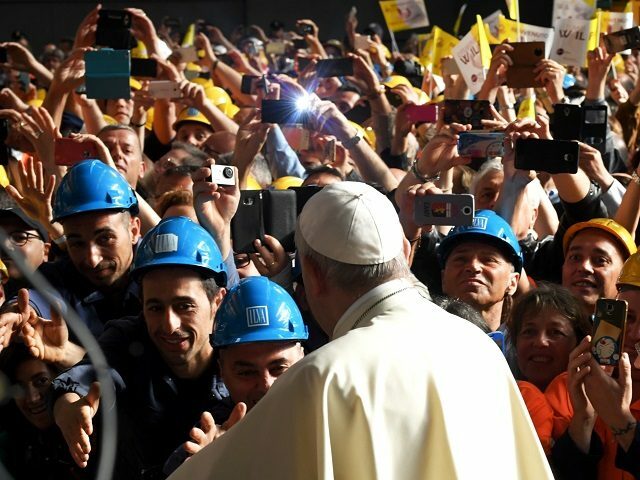 On Saturday, the Jesuit-trained left-leaning Pope Francis praised businessmen. There can’t be a good economy without good businessmen, without their capacity to create and to produce. He did, however, attack "speculators." Of course, the Pope does not seem to be aware that, much of the type of speculation he is most likely thinking about, occurs as a means of survival, the result of central bank manipulations of the money supply. I have a vision of the Pope waking up the next morning in horror: "What was I thinking??" Perhaps he'll "clarify" his remarks soon, and wash away what little he gave. If I'm wrong, then Thanks, Pope. I think Pope Francis is a pandering opportunist. Geneo is a great city with a long history in trade, and it's inhabitants, the Genovese, are wonderful hosts with memories that stretch back many generations. PS. You will get the best meal of your life in Genoa.